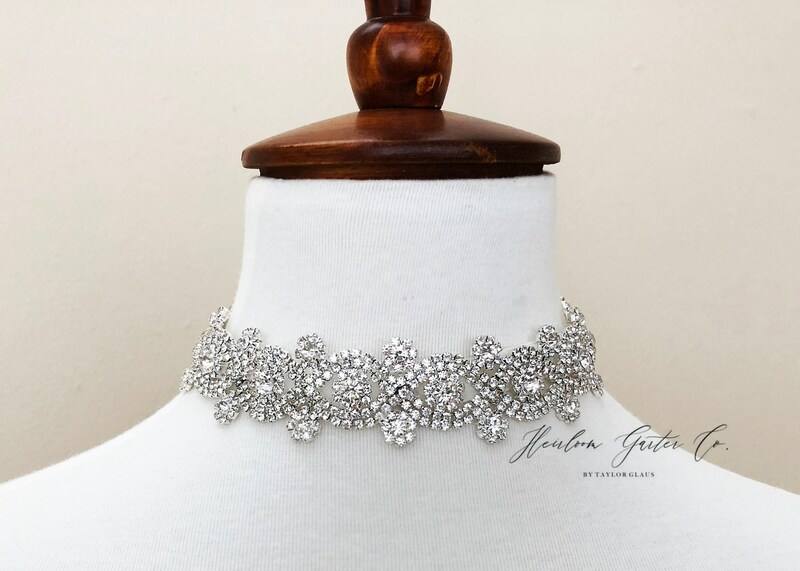 This bridal choker necklace is the perfect statement piece to add to your big day. It is finished on velvet ribbon and includes an a lobster clasp which allows for an adjustable length. 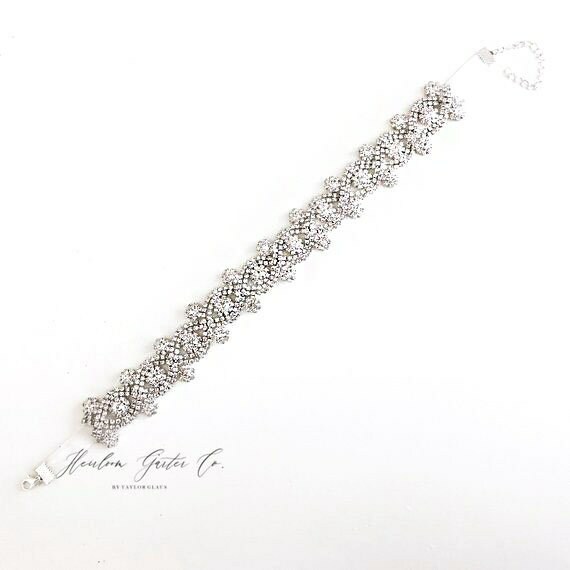 I also have a matching belt, bracelet, and hair piece design to go with this necklace if you are looking for a unified look. Processing time is one business day and shipping time will depend on the method you choose at checkout. Please contact me with any questions or customization requests.